next March 30, 2015 1:59 p.m. The future starts to get weird. In 2020, the world was getting a little strange; in 2025, humanity was accomplishing amazing things (but also starting to see the real effects of climate change). By 2030, if today's predictions are accurate, the world's starting to look a lot less the one we know — both for better and for worse. With Saudi Arabia's oil exports dwindling and electric cars dominating sales of new vehicles in the U.S., gas stations in the country's wealthier cities have been shutting down: Real-estate prices are still high enough that, even with the additional environmental remediation required, these sites are too valuable to leave as one-story fossil-fuel dispensaries. Historical preservationists rally around the last gas station in New York City, a lonely outpost in Queens, and successfully win it landmark status. Prosthetic devices have improved in safety and in functionality, and early adopters of body-modification technology insist that they should have the option of replacing their original limbs with advanced prosthetics to augment their abilities. While debate over the ethics of robotizing people continues, the FDA approves the sale of the first elective arm implant. 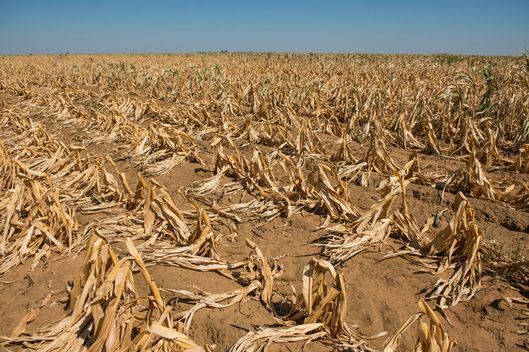 Water shortages are hitting 40 percent worldwide, and in some places, they're even worse. Although China has tried to update its industrial infrastructure, it's still unusually water intensive, and the government chooses to siphon water to industry rather than agriculture. Increased imports drive up food prices, and as fields dry up, farmers organize months-long protests against the government's water policy. Starting in 2025, right on schedule, marathon runners start edging just up to the two-hour threshold. Finally, in 2030, at the Berlin Marathon, one of the world's fastest men runs 26.2 miles in 1 hour, 59 minutes, and 57 seconds. Scaled down from the original vision of a three-deck, 800-seat passenger plane, the first generation "Progress Eagle" can carry up to 100 people — but most people are still flying in familiar-looking, jet-fueled planes that are about 20 percent more energy efficient.